1. Our Little One graduated to green belt in taekwondo! 3. I had been using a pretty unreliable "smart phone", until my incredible hubby used his bonus to surprise me with an iPhone this week! He's the BEST! 5. Cosby Show marathon girls night with my princess! It's always been one of her favorites. She used to ask to watch it on Nick at Night every night as a toddler. That seems like just last year, so how is it possible that her feet are now the same size as mine?! Wish I could slow down this whole growing up thing. Since I can't, I thoroughly enjoy each memory we make along the way. Happy Friday, lovelies! Hope you all enjoy a fabulous weekend! Yay! 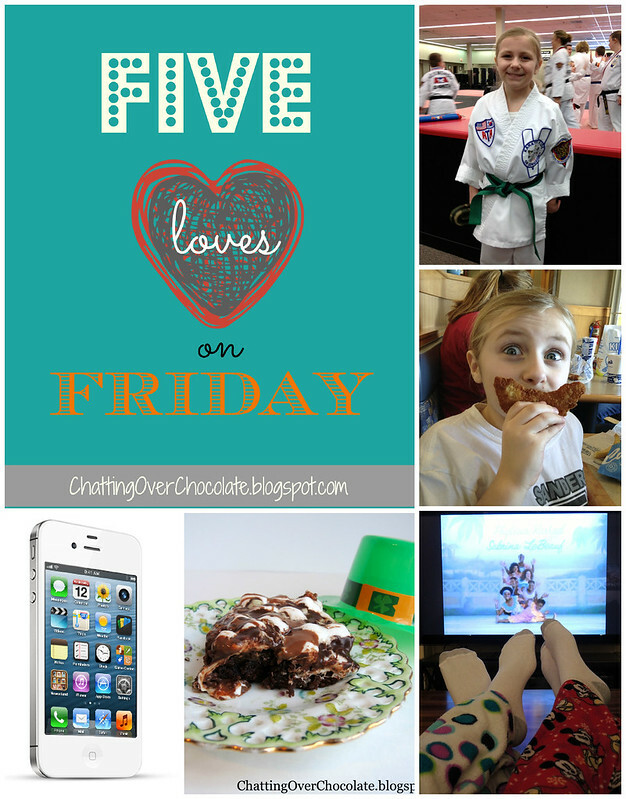 So glad you linked up to my 5 Things Friday Party! Congrats to your little one on the green belt! How exciting...I hope she got to devour that whole pan of mint brownies! :) I can't even remember what it was like without an iPhone...isn't that bad?! Fun for you though! New toys are always fun! Hope you're having a fabulous weekend!! What a fun week for you and your family! Congrats to your sweet girl! I know what you mean about the kiddos growing up too fast. My 11 year old son's feet are bigger than mine and he's almost as tall as me. (Okay, that's not saying too much as I am only 5'2'' ;-) Kids are a joy, though. I try to enjoy every stage of their growth. Have a wonderful week! I LOVE Cosby show, what a fun day of watching TV. 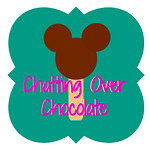 Love what you're loving and need to join in on Friday! THANK YOU for linkin up to my Sunday FUNday party! Hope to see you tonight! !